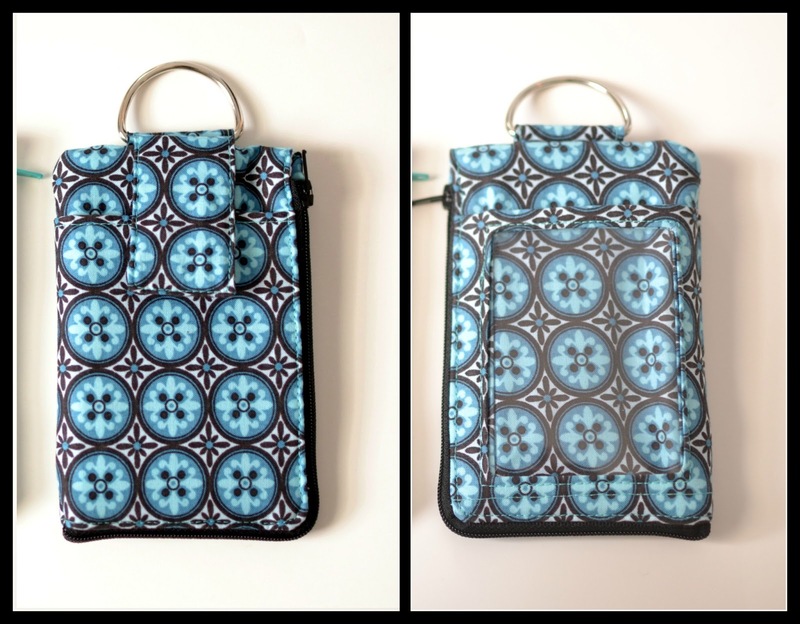 Blue Susan makes: Experimenting with Mini Pouches. I made a Christmas Gift for a friend that took a little experimenting. (Take #1 is on the Right, Take #2 is on the Left) We finally got it right and discovered a few things I thought I'd share. My friend frequently rides her bike with her kids to school, runs to and from school, and coaches soccer. She likes to wear a little wallet on a lanyard that she can easily tote around with her active lifestyle. She wanted to be able to carry her phone and iPod touch along with her wallet so I did some experimenting and came up with a handy little mini wallet. Did you know that you you can control and iPhone or iPod through a layer of vinyl? I think that is the coolest thing. So I started with this little pouch. I made a little zip up case adapted from this tutorial and added a pocket on one side with Clear vinyl to hold her ipod touch and a pouch on the other with a velcro flap to hold her phone. On the inside I experimented with little card holder slots. This worked out great until her husband surprised her with a new iPhone for Christmas and an Otterbox to hold it in. My little design didn't work anymore and so we went back to the drawing board. After much deliberation we decided to build the vinyl wall into the side of the pouch and that way there was no need for a flap to hold the phone in, and the screen could stay fully exposed. The inside of the wallet has two pockets, one to hold in the phone and the other to hold a few cards and money. I like that it unzips down the one side. It gives you great access and allows you to easily slide the phone in and out. This one was a keeper. 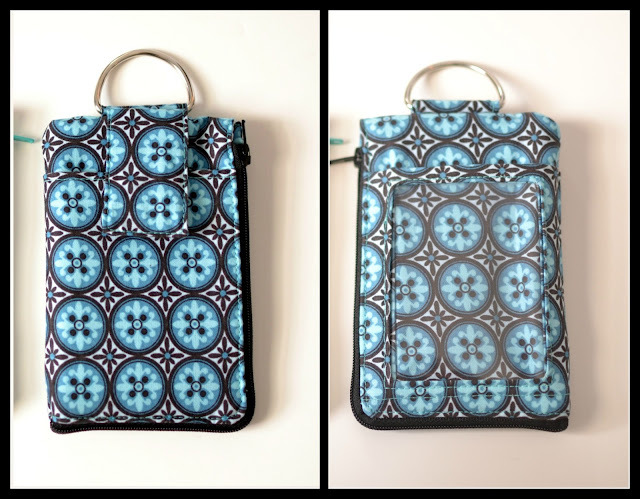 I think the idea of adding a vinyl side opens up a whole new world of creative zipper pouch possibilities. Isn't sewing fun! This is such a great idea ~ are you going to do a tutorial? I could really use this.